Seabirds, along with many other fauna, are captured incidentally in the operation of fisheries around the world. See our maps of case studies to learn more. This comprehensive manual provides a wealth of information on seabirds including how they are evaluated under MSC certification. Click to see more information! We have updated the resources on what to do if you have a live bird on board your vessel. This website is designed to help fishers and fisheries managers assess risk of seabird bycatch in geographic areas of interest, in order to make appropriate mitigation or accommodations, and minimize or eliminate seabird bycatch in operations. It can also be useful to anyone with an interest in mapping seabird occurrence by region. See our introductory video here. Draw your fishery on a map, or import a shapefile. 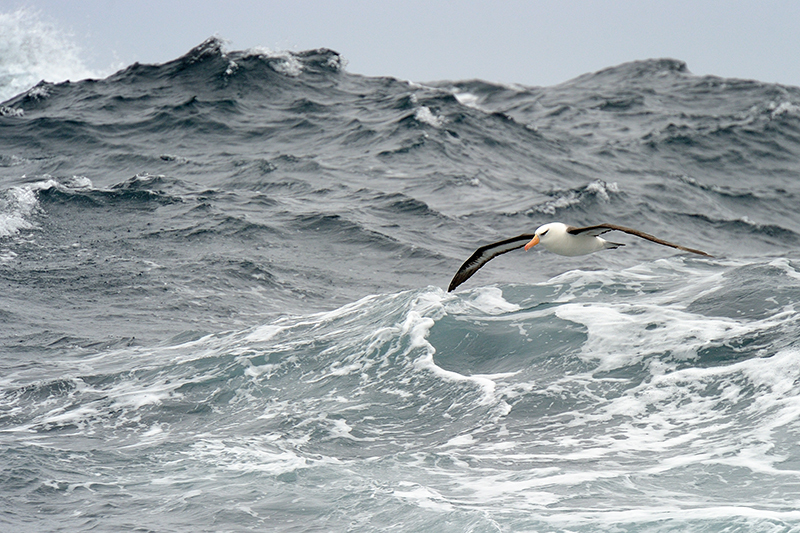 Quickly obtain a list of seabirds that you might encounter in your fishery or area of interest. See maps of their distribution. Sort the species by threatened status, population size, or other criteria. See ecological information, such as diving depth, that may indicate the risk posed by fishing gear. Be directed to bycatch reduction and mitigation resources. There are 378 species profiles in the database which can be accessed from the species list or by searching on gear types, or species names or groups. Black-browed Albatross Thalassarche melanophris. Photo by Andre Anita/Shutterstock. If you are researching seabirds and/or their interactions with fisheries, please see How to Use this Website. You can visit our Documentation and Resources pages for details regarding methodology, source data, and terminology. The Help page will guide you through using the tool. We ask that you register in order to use the tool. Registering allows you to save your work for future reference. Note that the map tool has been optimized for use with the Chrome browser. It also has been tested and works properly with Firefox versions (38 or higher), Safari, and Internet Explorer 11. We hope you will find the tool and information useful, and we welcome feedback; click on the Contact Us link at the bottom of the page.